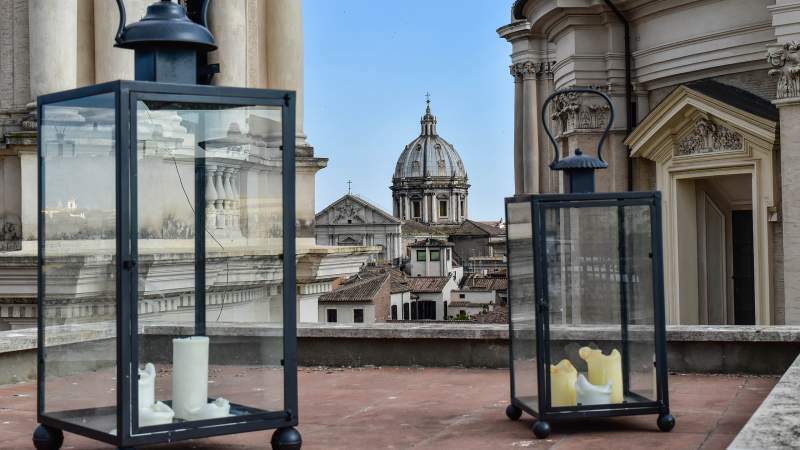 On the 4th floor, alongside the Art gallery is located Terrazza Borromini, available for our guests. The restaurant offers an intriguing menu inspired by the classic Roman tradition, which makes use of the finest ingredients from all Italian regions. 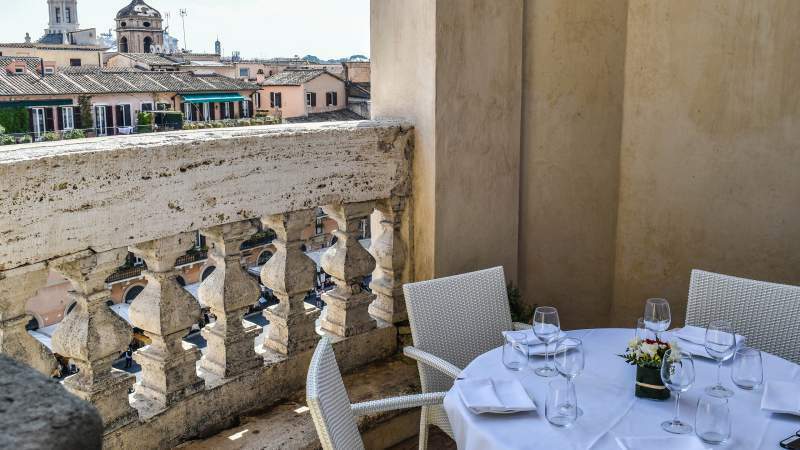 The restaurant develops in the halls overlooking the square, embellished by Bernini's frescoes, which frame one of the most valuable prospects of the famous fountains. 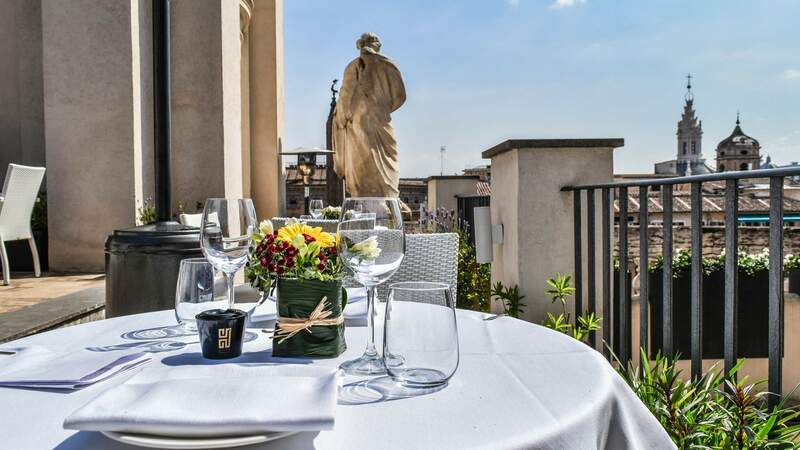 In the summer months, the service is extended to the splendid terrace set between the bell tower - that sounds every day at 12am - and the magnificent dome of Santa Agnese church. 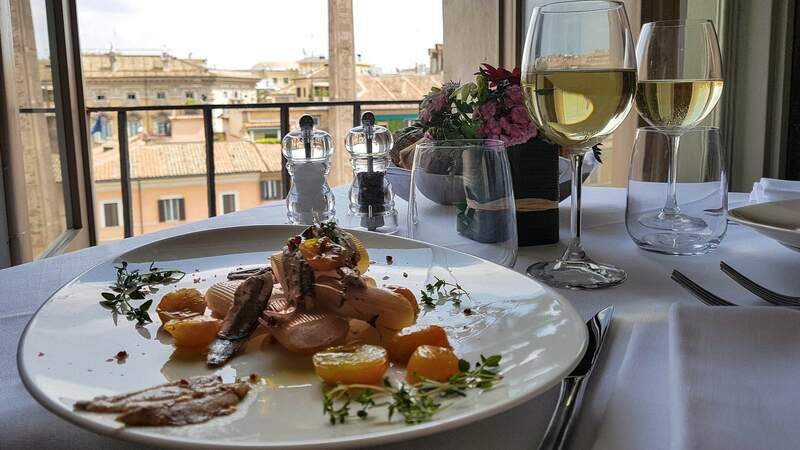 Open daily for lunch and dinner, from 12am to 3pm and 7pm-11pm. 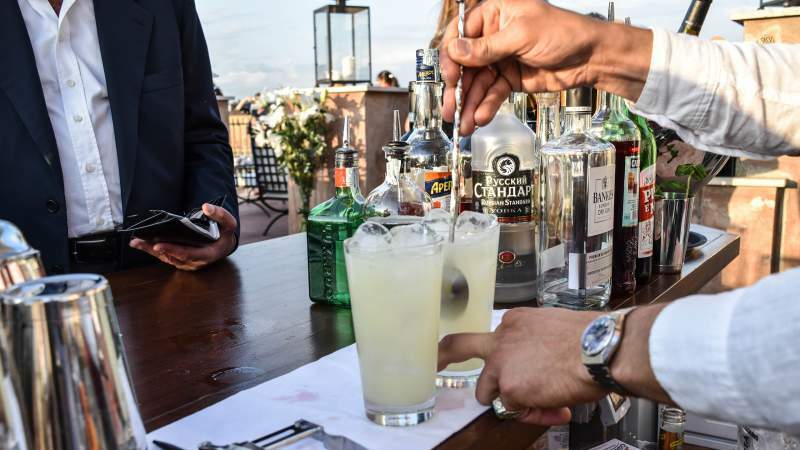 Custom menus available as well as private rooms for business meetings. 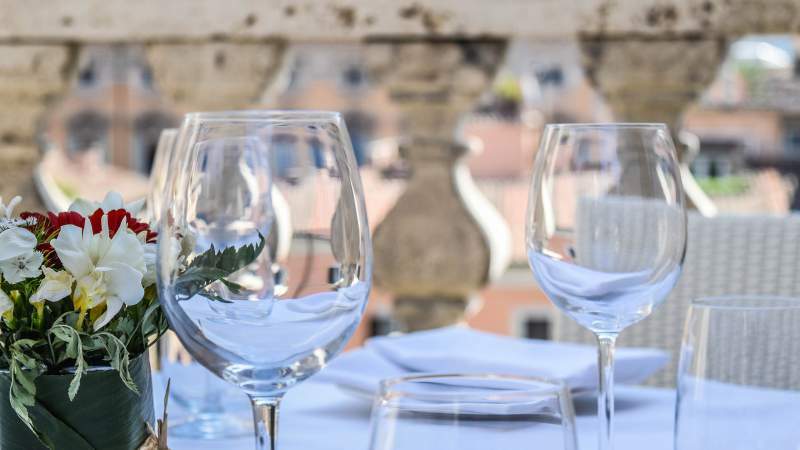 Reservations at +39 06 68215459. 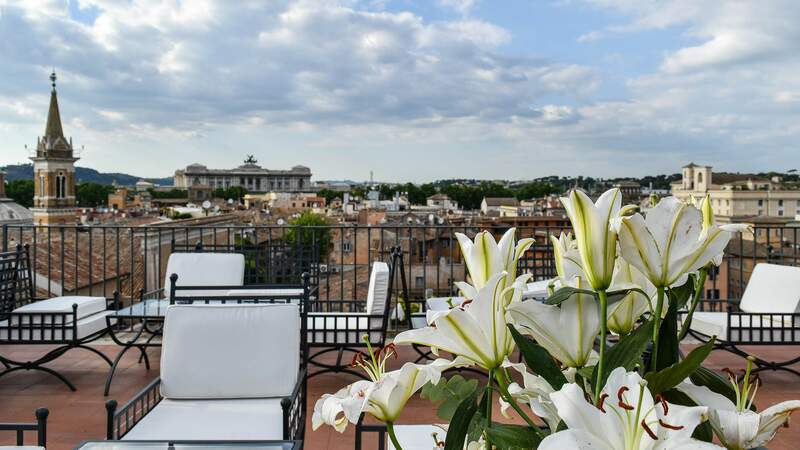 The elegant rooftop of Hotel Eitch Borromini, nicknamed by our most affluent customers: "La Grande Bellezza", is available for refined aperitifs and private events on the sixth floor. 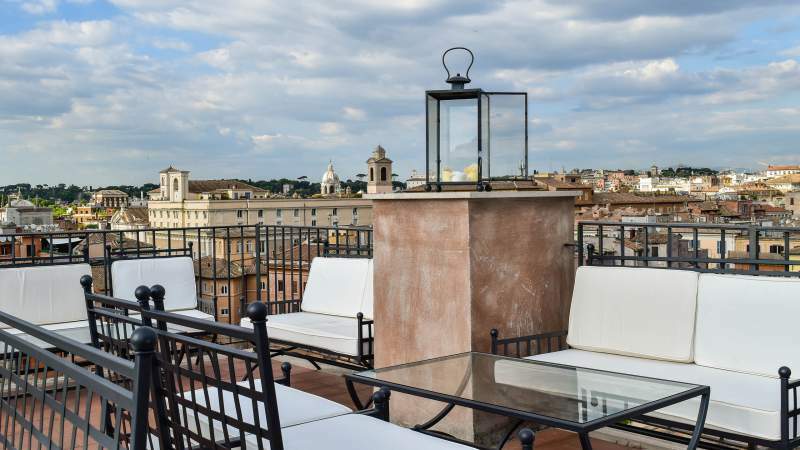 An intimate bar with a few set of sofas in a grand setting: the rooftops of Rome at 360 degrees. 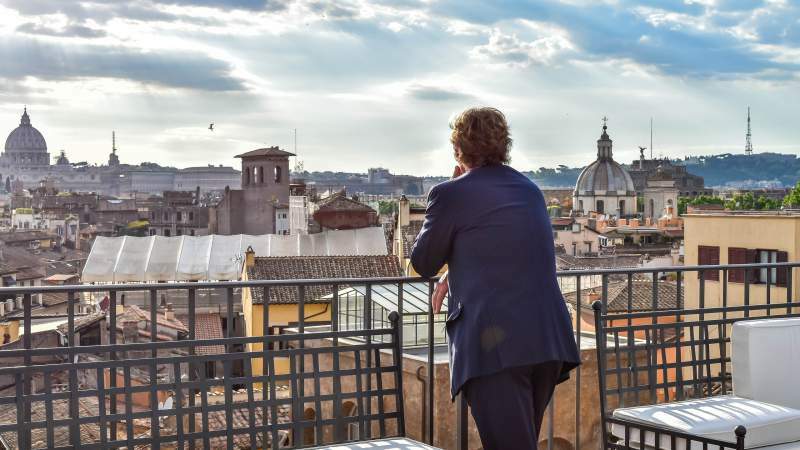 This roof is a hidden jewel, closed to the public until a few months ago, and sunset is able to take the breath away even for those who live and work in the eternal city ever since. 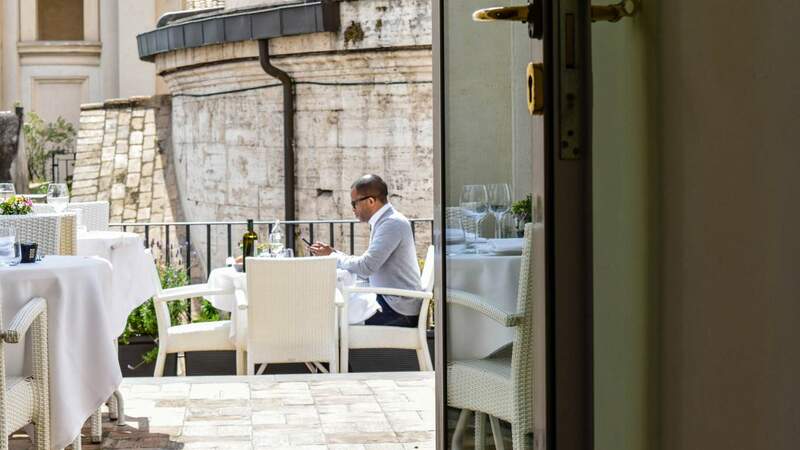 Every day, from 6.30 pm - only with reservation at +39 06 68215459.- enjoy delicious high-quality aperitifs and small gourmet tastes.